What People Misunderstand About "You Don't Need A Degree To Be Successful"
An argument that I have seen pop up over and over in recent years is that you don’t need a degree to be successful. This seems to be a common consensus among many people, who have seen the glories of people like Richard Branson, Bill Gates and Steve Jobs, or more recently, Mark Zuckerberg, founder of Facebook, all dropping out of their schools and becoming extremely successful in the pursuit of their entrepreneurial dreams. As a result of these successes, people have started preaching about how getting an education is not a necessity for success. Both entrepreneurs showed incredible programming abilities at a young age, and both of them decided to drop out of college because they were extremely clear about the projects that they were pursuing. 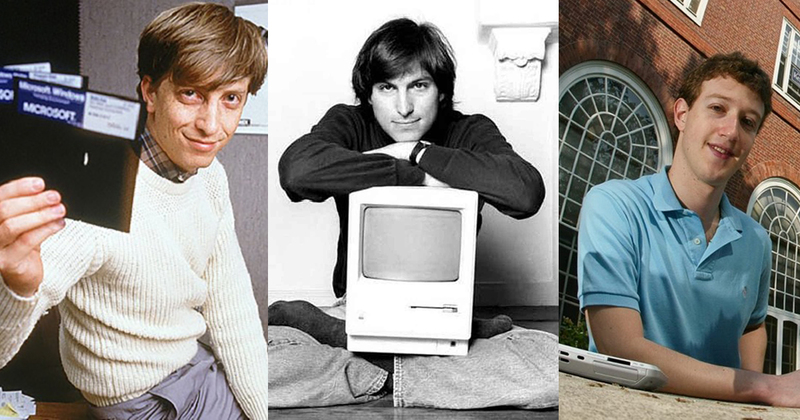 Steve Jobs and Richard Branson are in another category of dropouts, where one continued attending college but only took classes that he liked, while the other never even got past high school. Steve Jobs never finished his degree at Reed’s college, but upon closer inspection, he studied at Stanford University’s student union before enrolling into Reed’s, and was actively involved in other projects related to his interests in electronics, engineering, art and literature. Richard Branson never entered college, successfully starting his first business venture during high school with a magazine called Student. However, in a recent article from Virgin, Branson expressed his desire to going back to college to learn business skills, and also cited how education and startups can co-exist. So what is the point I’m trying to drive at here? Many people mistake “not needing a degree to be successful” as “you do not need an education at all”. It’s extremely easy to dismiss degrees as ‘useless’, especially if one is plain unmotivated or just has no idea on what to do in life. Successful dropout examples are also commonly used for people in MLMs and ponzi schemes to lure naive and ignorant youngsters to their companies with promises of getting rich quickly with ‘real learning’ – whatever that means. Yes, some billionaires never finished higher education, but they all had the skills, talent, and network developed from elsewhere to pursue their entrepreneurial dreams. Yes, some skills are better learnt through experience rather than in a classroom – like perseverance, emotional intelligence, leadership and self-management. But hard skills like finance, marketing, communications, operations, computer science and analytics or any other relevant skills to the industry are equally important in ensuring a successful career. Neither can live without the other. Before deciding to drop out, think extremely carefully about your own circumstances. Are you clear about your passions and dislikes? Do you have any knowledge or skills that could make your passion into a career? Do you know of anyone who you are able to work with to bring your career further, like mentors, business partners or industry professionals? Do you have a workplace that you are sure will provide you the resources to learn and develop yourself? If the answer is ‘no’ to any one of these questions, you might wish to reconsider your choices. I believe that the message that most entrepreneurs are trying to convey is that a degree is not a guaranteed highway, or the most important factor to achieve success. Rather, success requires determination, perseverance, self-awareness and continuous learning. However, this message has been taken and twisted out of context by some who do not wish to put in the effort in improving themselves at all, and is becoming an excuse for laziness rather than encouragement or inspiration. It’s high time that all of us become more careful about the communication process when we wish to inspire others with such successful entrepreneurial stories. This article was submitted by Theodora Boo.